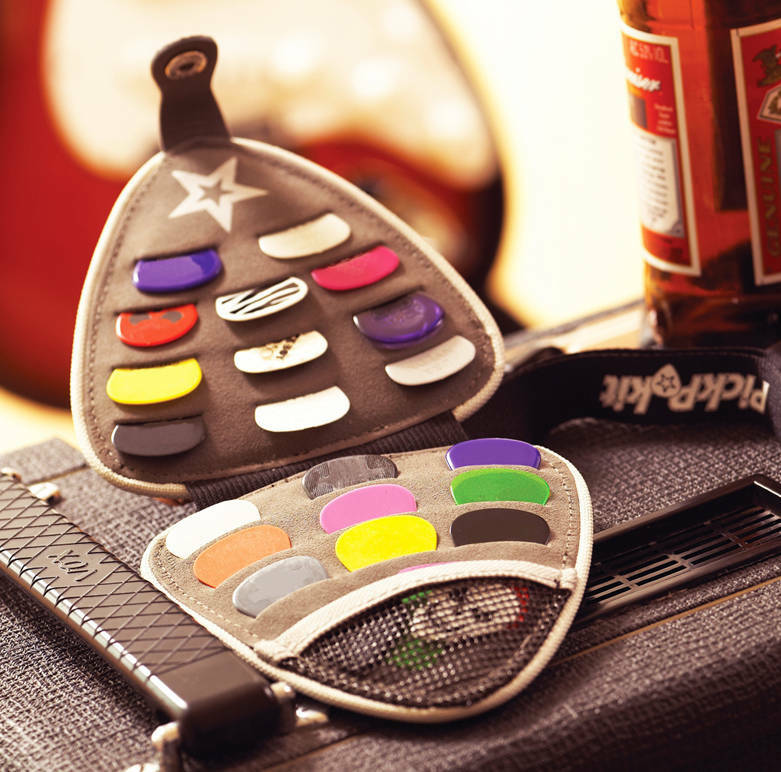 The Pickpokit® is the original, authentic guitar pick wallet, designed by a guitarist, for guitarists. Give the guitarist in your life a unique gift. 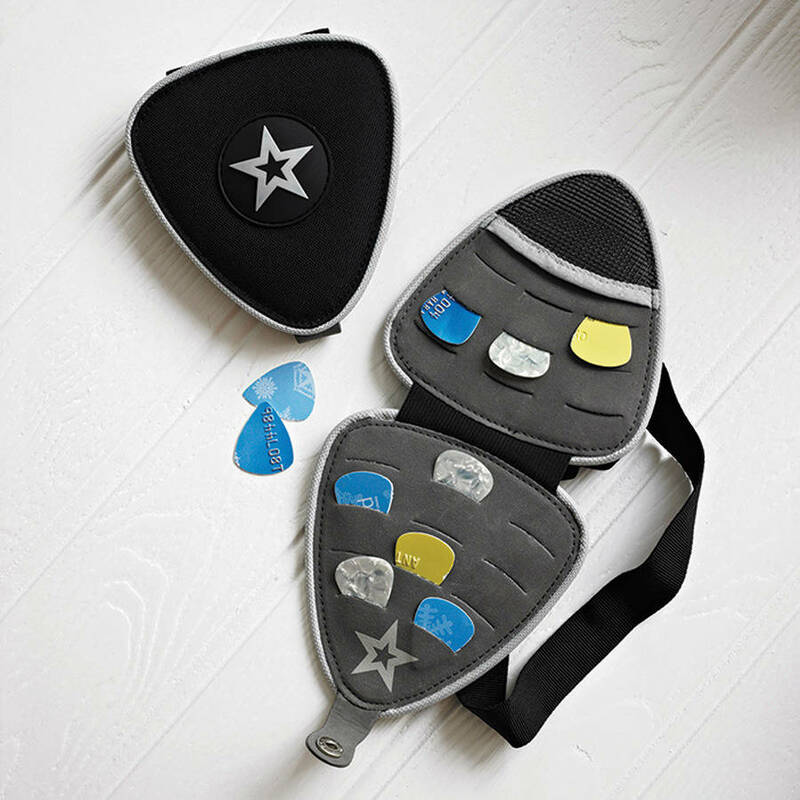 The Pickpokit® with its cool pick-shaped design is both tactile and enormously practical! Guitarists love recieving a gift which is chosen just for them! And it solves the age old problem "where is my pick?" See our fab reviews! Beautifully made. 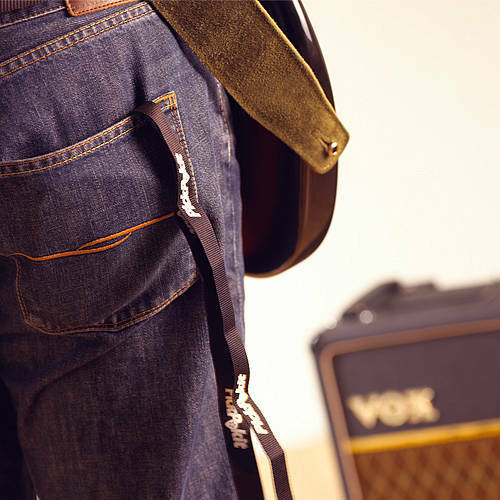 Fits in pocket, has slots for 20 plectrums, an inner, net pocket for a few more, a secure popper fastener, flexible hinge and a Pickpokit® branded lanyard. Great packaging makes it an easy gift to give! 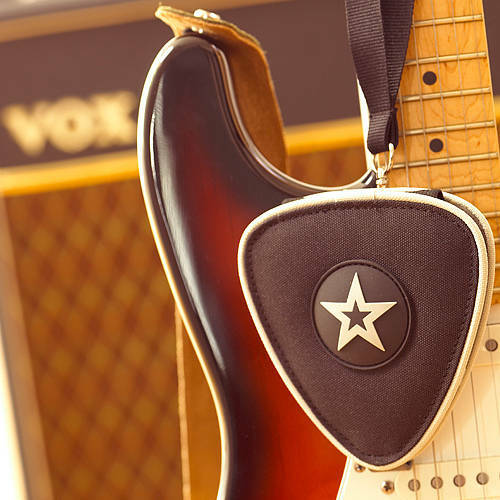 A top gift for Dad, Son, Daughter, Brother, Sister – basically any guitarist you know! 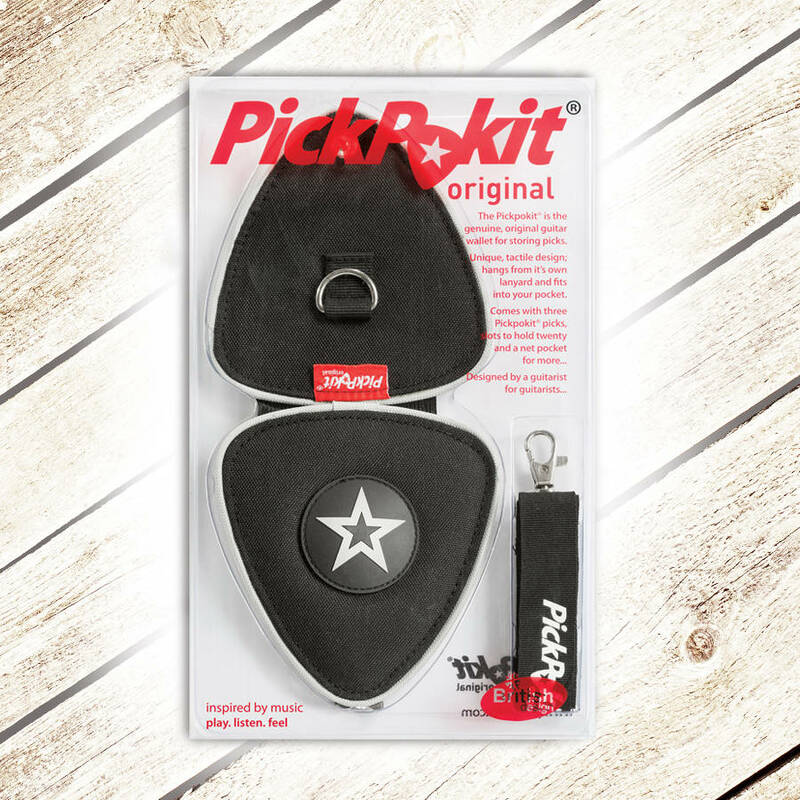 The Pickpokit® Original is full of unique features – including the 'clever' layered design which holds those picks in place! Has it's own Lanyard which attaches to a chrome clip. Includes three, free Pickpokit guitar picks. (All other guitar picks shown in the product pictures are not included). Arrives in it's own bespoke packaging – easy to wrap! Colour: black outer grey inner. The Pickpokit is made from hard wearing polyester and lined with faux suede inside. Lanyard is made from polyester with a chrome clip. WARNING: Choking Hazard, contains small parts. Not for children under 8 years. WARNING: Lanyard is not for children. This product is dispatched to you by Pickpokit from Blazon.